Torn from the secret files of intelligence agencies around the world -- here are the hidden facts about James Bond that even the the world's greatest secret agent himself has forgotten! As the Bond feature film blockbusters become even more popular, there's never been a more pressing need for a book that chronicles his every appearance in novels, films, comics and on TV; from the sublime to the ridiculous, from the best known to the most obscure. 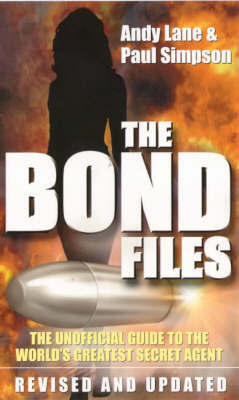 Filled with mouthwatering facts and trivia, this book is essential for the legions of world-wide Bond fans. -- James Bond is a world-famous icon with a huge legion of fans -- This guide is totally comprehensive, covering not only the films and TV, but also the comics and novels.